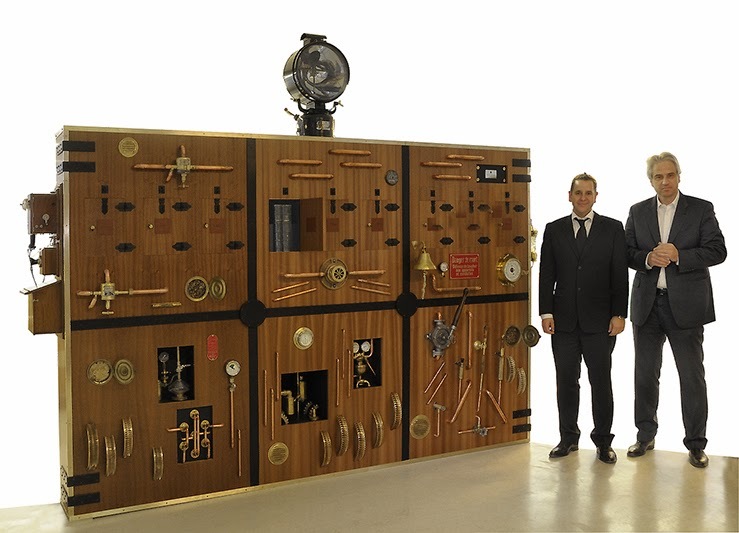 TIME EXPLORATOR is a “time-travelling machine” measuring three metres long and two metres high. It is made in mahogany wood and its “engine-room” features counters, controls, levers, gear trains, as well as copper and brass pipes. This “journey through time” enables visitors to make unexpected discoveries through nine different portholes presenting as many major historical milestones. A genuine treasure chest of human history, TIME EXPLORATOR will be presented at Baselworld 2010 and offers a fascinating opportunity to embark upon a poetic and initiatory exploration of origins. 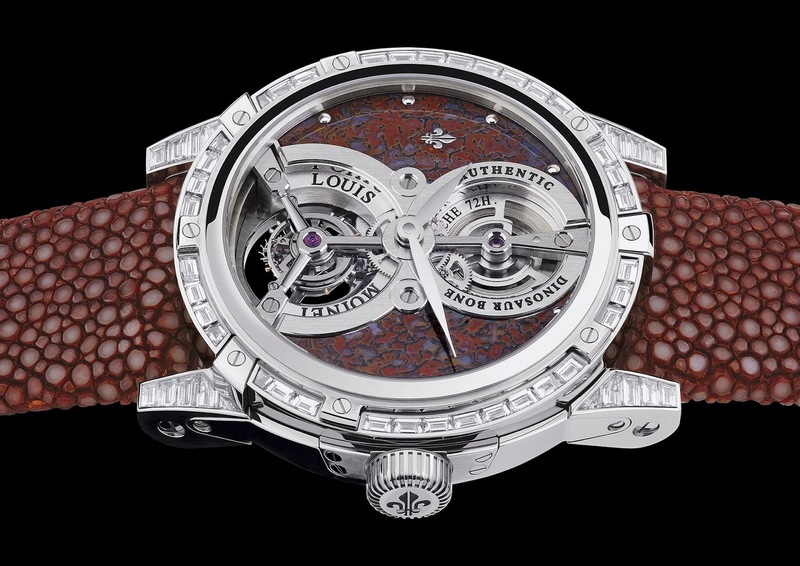 TIME EXPLORATOR also serves as a showcase for the first watch in a series of 12: the JURASSIC Tourbillon. 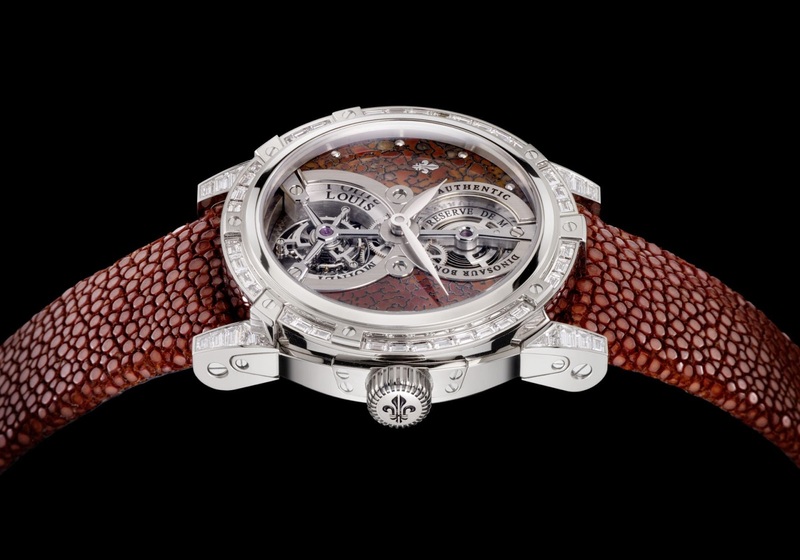 Its dial features an authentic fossilised dinosaur bone believed to be 150 million years old. The quality and veining of this precious historical testimony are described as exceptional and have undergone a meticulous process of hand-craftsmanship dedicated to cutting up and highlighting the bone without damaging it. This bone, found in western North America and belonging to a dinosaur, was authentified by the geologist Dr Andreas Stucki, who is associated with the “Saurier Museum” in Aathal, Switzerland. The bone comes from the family of large herbivorous dinosaurs, such as the Diplodocus. Diplodocus is among the most easily identifiable dinosaurs, with its classic dinosaur shape, long neck and tail and four sturdy legs. It is one of the longest known dinosaurs. It may have been up to 50 meters long, and have weighed as much as 50 tons.